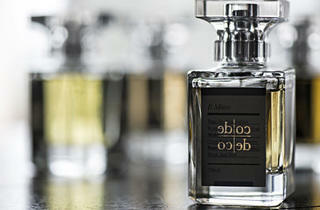 ‘I don’t want to criticise someone else’s efforts, but after smelling my perfumes, you won’t be able to go back [to the commercial options],’ says Gauri Garodia of her new perfume brand Code Deco, which launched recently with a range of three collections, each with four scents. Having settled in Singapore seven years ago, the India-born nose has a knowledge of scents amassed from over 16 years of climbing the ladder in industry powerhouse Unilever, and subsequently at her own perfume consultancy, Sensus Consultants, in which she created scents for larger corporate clients and brands (she can’t reveal who, but chances are you’ve smelt some of her work for some prominent, mainstream labels). To create Code Deco’s debut lot of 12 perfumes, Garodia worked on blending the right ingredients in the right proportions to convey the emotions she wanted to – a process which eventually took the scent perfectionist three years to produce a set she was happy with. During our meeting, she took us through some of her raw scent oils in her collection, such as sandalwood, rose and musk – each time rattling off qualities she detected in the perfume and the feelings it evoked as she waved her scent sticks. It became apparent after a while that the refinedness of her perfumes is a pure work of art – Garodia’s certainly no trial-and-error kitchen alchemist; there’s a clear skill in the way she somehow manages to tame the brash, raw notes of her base ingredients, and get them to blend together in an incredibly cohesive way in her retail bottles. Her new Code Deco collections include scents like Tasman in Grey, her entry for the marine perfume category, which Garodia explains is an interpretation of the smell of a Singapore thunderstorm and sports a nose that Garodia describes as ‘cold’. We noted the metallic undertones that come before a storm in the blend of mandarin, citrus peels, musk, moss, sheer sap, jasmine and more. Likewise, George (from the Feminité collection) reveals a complexity and genius at conjuring narratives and emotions through the olfactory senses – its spicy-meets-sweet bottling also imparts the feisty nature of its Famous Five’s tomboy namesake through the perfume. The set also includes other themes such as travel and even jazz music: B Minor, for example, features a powdery, almost manly scent with an interesting addition of dry gin to call to mind the jazz era’s heyday. It’s truly one of the most unique and comprehensive sets of perfumes we’ve ever encountered. Garodia uses her Decode matrix that matches styles like vintage, modern, avant garde and classic perfume types with descriptors like sparkling, warm or sheer to help narrow down the choice. 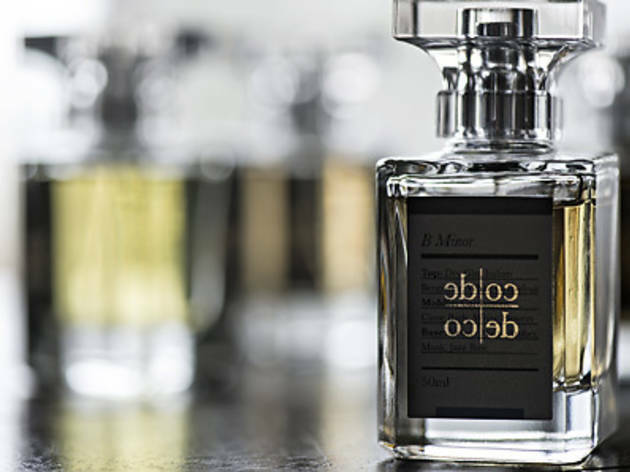 She offers variety by selling a pack of six 3ml vials that you can select from her range of 12 – and trust us, with Code Deco’s perfumes, a little goes a long way. Cost: $150 for a 150ml bottle, from $75 for six 3ml samplers. Stockists include Nana & Bird (79 Chay Yan St) for Code Deco's feminine and unisex range and Blackmarket (#02-10 Orchard Central) for all 12 fragrances.